Children are at the very heart of the Amish way of life. With huge families of bouncing brothers and sisters to care for, Amish parents and guardians start learning how to be the best caregivers they can be at a very early age. And for the carpenters and woodworkers in their culture, this means only one thing: learning how to design and build the safest, strongest, and most beautiful cribs and cradles for their sons and daughters. Our range of handcrafted Amish cribs and cradles - including convertible cribs and several 4-in-1 crib models - are the result of that proud family heritage. 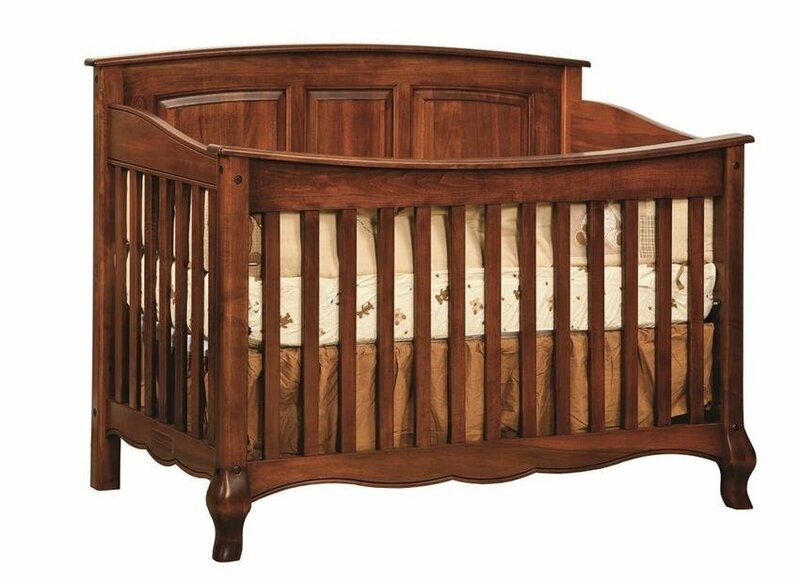 Built from solid hardwood and rigorously tested for safety, these cribs promise nothing but the best in sweet dreams and safe rest for you and your family. The French Country Convertible Crib transforms from a crib into a toddler's daybed and a teenager's twin bed. All of our cribs meet or exceed safety standards established by the United States Consumer Product Safety Commission, giving you and your loved ones essential peace of mind. As with all cribs, it is vital that owners follow manufacturer instructions and don't attempt home repairs. If you ever have any questions about your crib, we'll always be here to answer your questions - just give us a call or an email. The CPSC also has a fantastic range of videos and articles that offer world-leading advice on how to make sure Baby's bed is the safest it possibly can be. 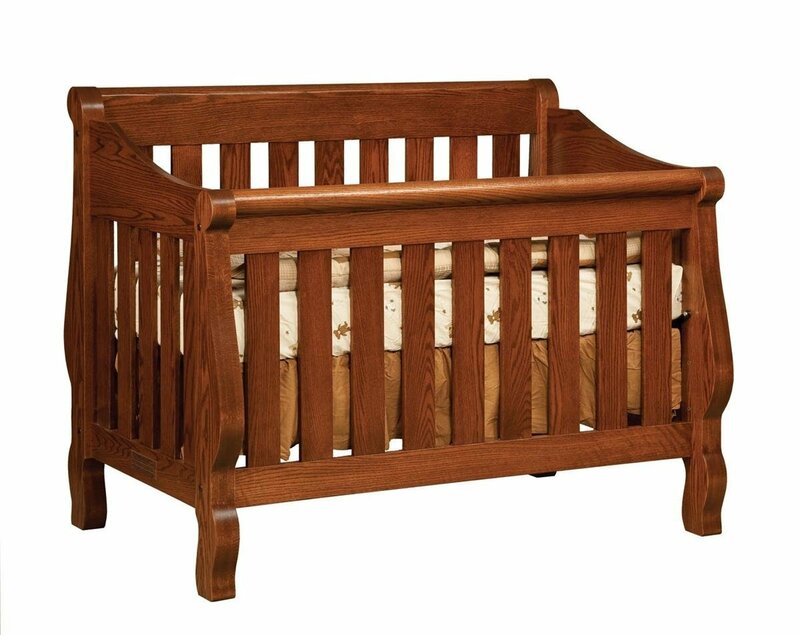 Our Amish Hoosier Sleigh Convertible Crib brings traditional elegance and world-class craftsmanship to the nursery.